Mai Family Services has completed its 30 years supporting individuals and families in abuse and crisis situations. A lot of work needs to happen in this space and as a partner organization, our collaboration from time to time handling specific requests has been tremendous. Thank you for all your support. 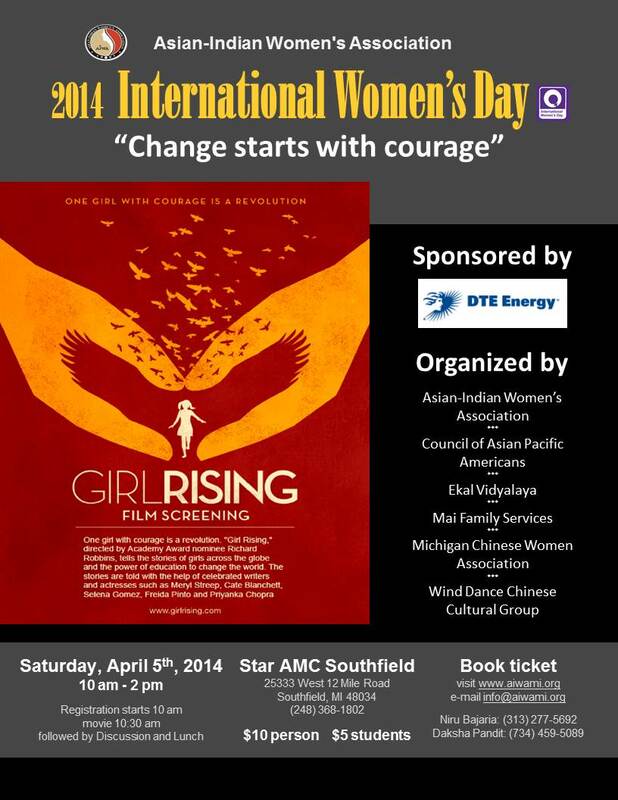 In an unique collaboration, Mai Family Services has partnered with Asian Indian Women's Association (AIWA) in addressing issues that have decimated the very ecosystem we live in. 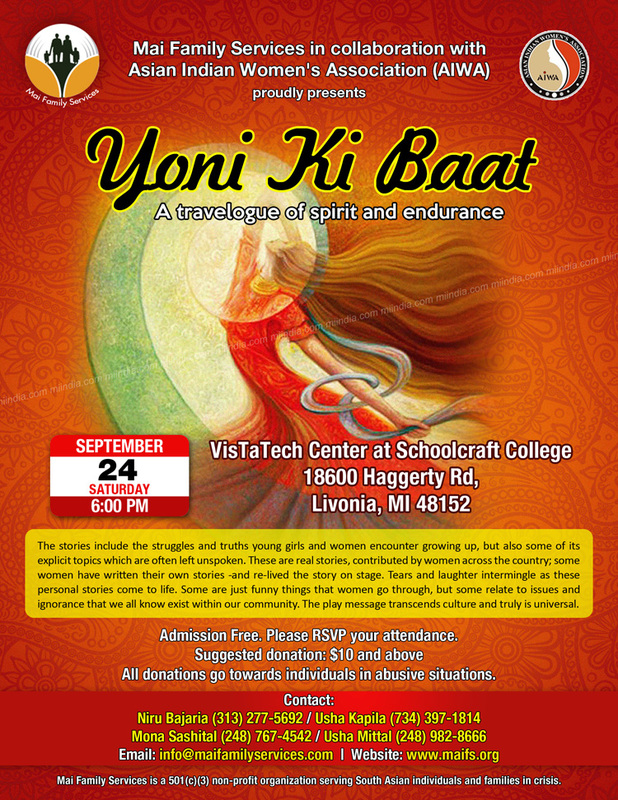 Welcome to Yoni Ki Baat on September 24th at VistaTech Center (Schoolcraft College), in Livonia at 5:30 p.m. In May of 2016, we were treated to a financial planning seminar by Bhrugang Patel. Below is a link to his slides. 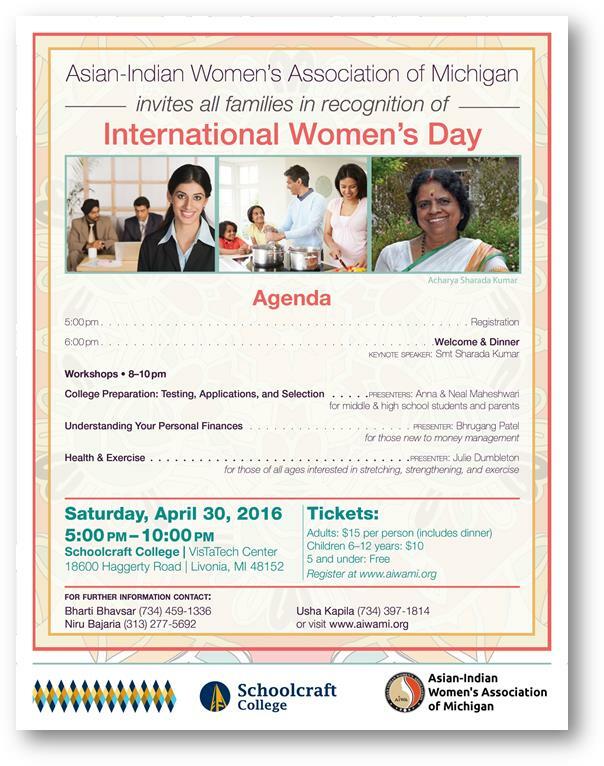 NOTE: Due to unavoidable circumstances the Leadership Summit has been postponed to April 30th 2016. With: Mr. Iggy Ignatius President of ShantiNiketan, Inc.